I've been following ONA for months and love the looks of their products. I own a Bowery, but have been eyeing that Brixton for some time. @MykeBatez on Twitter. Good luck to us all! The ONA Palma is so chic! I immediately followed them on Twitter. The best way to contact me is at jmsquared4ever@gmail.com. Looovvveee the look of these bags! Especially the Brixton. I follow ONA Bags on Instagram (@mami2jcn). aliciaagriffin@gmail.com is the best way to reach me. Ahh I've been dreaming of an ONA Palma bag for so long! So of course, I already follow them on Twitter and Instagram (if you need to find me, I'm @katiecleod and @KatieMacL respectively). Love the photos you've taken of the bag too! What a beautiful bag! I followed ONA on Twitter @spiral_bound & can be contacted there. would love a nifty bag to carry all my camera gear!! I've been wanting an ONA bag for years!! The Palma is absolutely beautiful and the color is perfect. Thank you, Alice! I love your work!! I've been a fan of ONA for many years. I follow ONA on Twitter and Instagram and can be found at @brandivannevel. Love this bag !!! I already follow them. Gorgeous! I've been lusting after these bags for so long. I'd love to bring one of these bags with me on my honeymoon to Paris this summer. I follow on instagram (@acozyboat). My email is mariebuckphotography@gmail.com. I have the Brixton and its amazing! Absolutely beautiful bags, definitely coveting these for wedding season! A great, elegant camera bag for sure. Followed on Instagram. I've long admired ONA's leather bags. Does Avedon also come with this giveaway? I've followed ONA on Twitter. I can be reached at takingoftoast [at] gmail [dot] com or on Twitter @takingoftoast. I have the Roma bag insert and love it! I'm following them on Instagram (@natlsh) and Twitter (@stormofgenius). This would be a beautiful way to carry my camera around on shoots! I can be reached through my website, or sarah.k.mohammed@gmail.com. Thanks! boooo i want one! boo to living in the uk! Gorgeous bags as always; following on Instagram. emily.y.koh [at] gmail [dot] com! I've been eyeing this exact bag for so long! It would be perfect for my camera. Following on Twitter! this would be perfect for me! i'm so in need of a new camera bag. so cute! I followed on twitter and my email address is cory(dot)burnsed(at)gmail(dot)com! love the ona bag! and love the shot of avedon inspecting. I already follow Onabags on twitter and instagram. What a wonderful giveaway! Gotta love Ona bags! Great bag...following on Twitter...desperately needed. I already follow ONA, I love their bags and their Instagram! Gosh darn the US-only rule :P I love my Ona backpack... this bag is definitely on my wish list! That bag is a babe! Totes want to hang with her! me@xoazuree.com I also follow Ona on Instagram and Twitter! I love their bags. They always come in great colors too! I absolutely love their bags and this one is a must have! Thank you for the generous giveaway! I have followed them on Twitter (@ahoymichelle) and my e-mail address is michelleesque@gmail.com. So gorgeous. Thanks for the giveaway! I follow on twitter (@chknpotpie). Exactly what I need. Thanks for the giveaway! 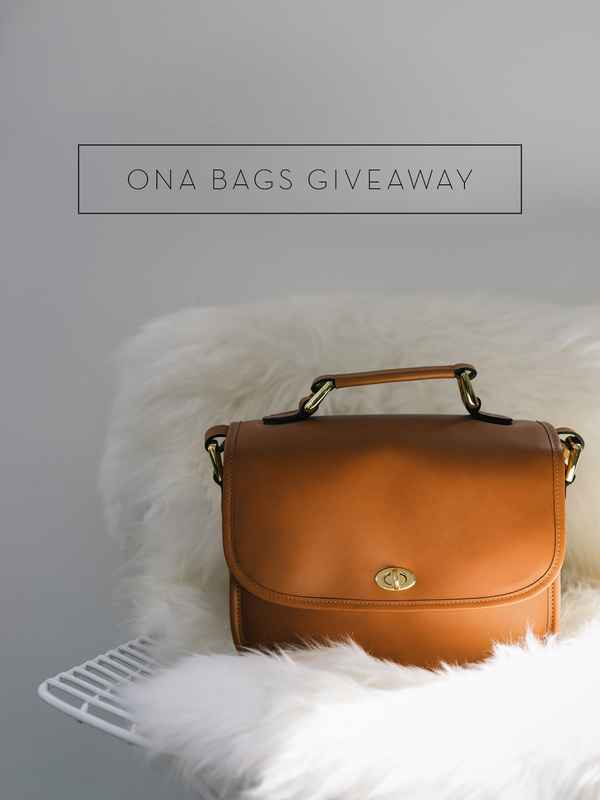 I absolutely love ONA and have been admiring their bags for the past few years. Thanks for the giveaway, Alice! Thank you for the opportunity to win a bag. I just love ONA bags! They're products are durable, stylish and beautiful. Gorgeous. I'm already following the, on both IG and Twitter. My email is jenniferwhite0112@me.com. A great, elegant camera bag! Such a classic, I've always dreamed about an ONA bag for my DSLR! Ahhh what a great giveaway! I love the look of ONA bags and I'm already following them on Instagram (_jessicasheep). Ah. I've been trying to find the perfect camera bag ! :) followed on instagram ! Beautiful bag, I follow on Twitter as @twenteries. Thanks for the chance! What a great giveaway, this bag has been on my wishlist for years! tier8243@alumni.uidaho.edu - thanks! What a stunning (yet practical. Rare when these two coincide) bag indeed! Wow, been looking for a bag like this for a very, very long time! what a beauty and I love how Avedon is always ready for a close-up! praying to the internet gods right now haha. Color me obsessed! Crossing my fingers that I win this one since I'm too poor to afford this beauty. @herenguh on instagram and email at helen.yge9@gmail.com. I adore Ona! I bought their Bowery bag for my birthday, but would love the chance to win one of their fancier bags. Swoon! I followed them on Instagram via my account at @beaudrillard. Thanks! Love these a lot! The Palma is amazing. The Palma is an amazing and beautiful bag! I would love to have one! This is perfect! Just got a new camera that needs a beautiful ONA bag! Following on Instagram (via @tzhereb). I am a proud owner of two ONA products and would be thrilled to add the lovely Palma to my collection. Thank so much, Alice, hope you are well! xo. P.S. Already following on instagram. Yay! Have one of their canvas bags but would love this one too! I'll love to have this bag! It'll end the days of me simply throwing my camera in whatever bag I was using. I love ONA bags! And I've always secretly (or not so secretly) coveted one. You can find me at www.facebook.com/quotidianphotography. A FB message will get me every time. So lovely! I followed ONABags on Instagram as doorsrach, and my email is doorsrach at gmail. This would go to my best friend, the ferocious photographer! I gave my husband the Brixton for Christmas...he loves it! And I've had my eye on the Palma since then. Thanks for this awesome give away! You can reach me on IG...I'm @lolafalola. I need a new bag to keep my film camera separate and have had my eye on ONA for a while! heatherpfluger@gmail.com @heatherhawkins xo! Hello, I follow Ona on Instagram = trishden and Twitter = @trishden. Thanks for a great giveaway! This bag looks very much like a vintage 90s Coach shoulder bag. One that my mom carried throughout most of her childhood - this bag brings back some memories! Followed on Instagram and I can be reached at domdyson[at]gmail[com]. This might be the most gorgeous camera bag I've ever seen. Such a classic! Beautiful! Stunning! I am following you on instagram. (zoeybear20) Thank you for the amazing giveaway! Such a beautiful camera bag! It's great that it's much more wearable. I followed ONA Bags on Instagram; my e-mail is choi.christina.e@gmail.com and my Instagram username is christinaechoi, just in case for verification. Thanks for the lovely opportunity, and as always, love your posts. Awesome camera bags. Nice to see these guys are finally getting some mainstream love. Been following them on Instagram. Following on twitter! Love the bags. Email is gretchenalice at gmail dot com. That is the most gorgeous camera bag I think I've ever seen. I just followed Ona on Twitter (@mara_dawn). maradockery at gmail dot com. Instagram follower as rusthawk1, twitter follower @rusthawk. thanks! Ah! I've been following ONA on Twitter and Instagram. This such an amazing giveaway! I absolutely LOVE this bag and check to see if it miraculously goes on sale constantly. Thanks for the opportunity! *fingers crossed! * My contact is angel.kittiyachavalit@gmail.com. I love your work! I've never seen these before, but they're so delicate. Following as @flowerteadrunk, and you can reach me at fengm11@wfu.edu. Thank you! Your bags are gorgeous and just what i'm looking for and needing! It would be a blessing to win. Thank you for the chance! The structure of the ONA Palma camera bag is so aesthetically pleasing with no fuss and minimalistic design but lots of functionality. Looks like the perfect camera bag for travel as well as daily use. Such a gorgeous bag. I think Avedon approves. Following them on both Instagram and Twitter! my contact: twitter @marysobrado good luck to everyone! I'm obsessed with ONA bags!!! The Palma is so perfect for travel! I followed them on IG. Oh these bags are such beauties, thanks for the sweet chance! I have been stalking Ona on Twitter & Instagram for a while now! I followed Ona's instagram and twitter! I do own Ona's camera straps and I've been eyeing on their awesome bag! Actually Palma is the one i've been wanting because of their simple but sophisticated design! Fingers crossed!!! My instagram is @magg and email is maggiewaldron (at) gmail. Thank you! Oh my.. So in love with this bag..
Everyone deserve to own it. But I'd love to win this Bag. I just followed them on both with @spicyteee. Thanks for the giveaway opportunity! The palma bag is so pretty and functional. 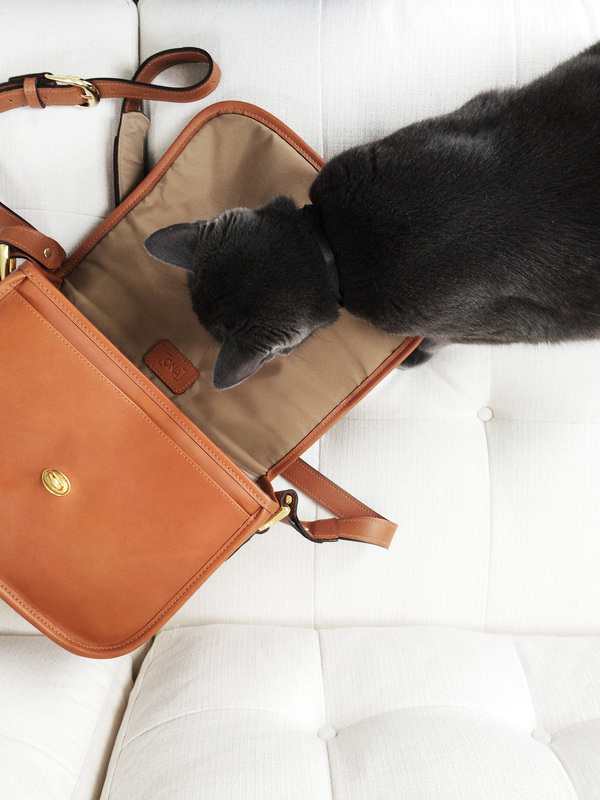 I've been lusting after Ona's stylish camera bags for a while and follow them on instagram! Would love to win the Palma. Just bought my very first DSLR today, love your photos and aesthetic! Also followed ONA on instagram! Contact me at ashleyrcampion@outlook.com ! 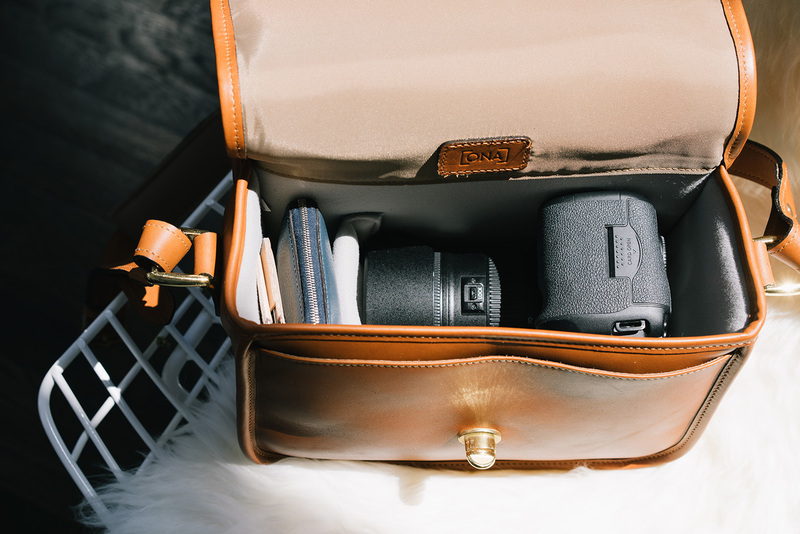 Equally stylish and practical camera bags! My email is letaang@gmail.com, and my twitter and instagram are both @letaang. followed on twitter and instagram (@seulghi for both)! love these bags! 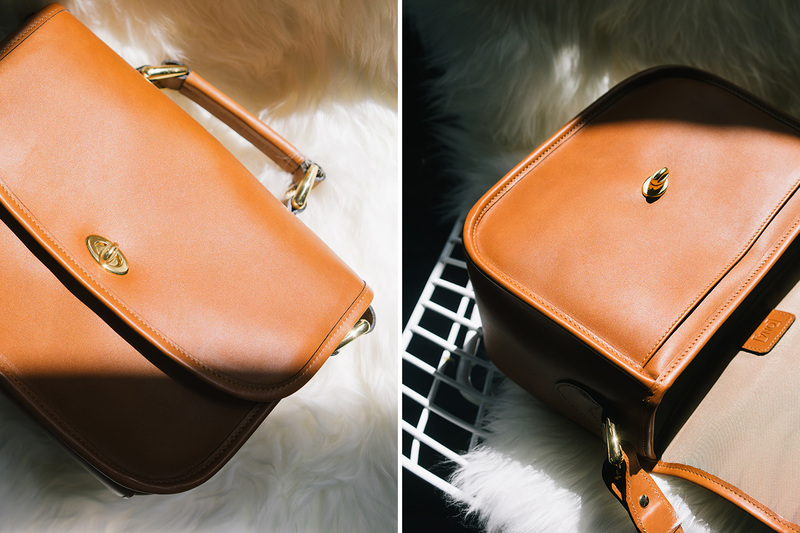 definitely in need of a stylish camera bag! oooh. I love ONA bags!! I've definitely been eyeing this one for a while. Followed on instagram! Gah. These bags are too cute. One of your disciple fans!